The 2018 Formula 1 season will be more than half way complete when the German Grand Prix takes place this weekend. 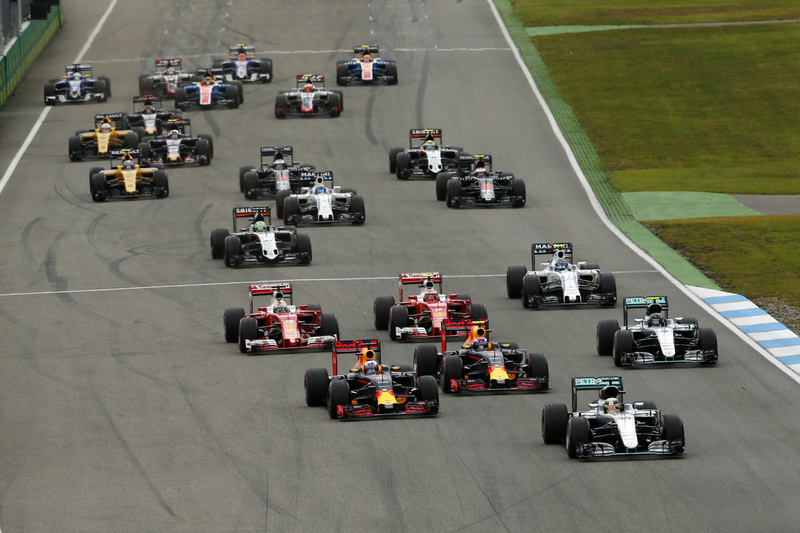 The race returns to the calendar after a year off, with Hockenheimring hosting the 11th round of the season. Sebastian Vettel heads to his home race as the championship leader, but the four-time champion has never won in F1 at this track – Lewis Hamilton and Fernando Alonso are the only members of the current grid to have previously stood on the top step of the podium at Hockenheim. Hockenheimring hosts the Germany Grand Prix on alternating years, so it’s been two years since F1 headed to the track. In 2016, Lewis Hamilton took his third win in Germany and his second at the circuit. 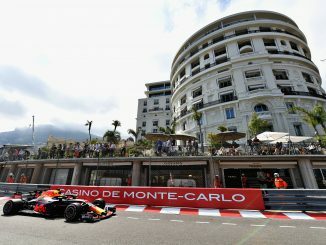 His then-teammate Nico Rosberg started on pole, but a poor start was compounded by a penalty for forcing Max Verstappen off the track. Hamilton was joined on the podium by the two Red Bull drivers, while Rosberg had to settle for fourth, having won at his home race two years earlier. 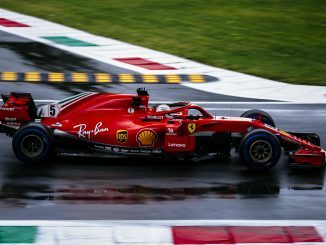 Ferrari were the third best team on the day, with a frustrated Vettel ignoring a call from the pitwall to come in for new tyres, believing his team had made the wrong strategy call. The race was also the final time Rio Haryanto took part in F1. The Indonesian driver had struggled throughout his debut season with Manor and his main sponsor failing to provide funds to the team. 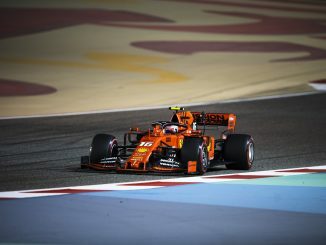 He headed to the race surrounded by speculation that he wouldn’t be in F1 for much longer, and the trip to Hockenheim proved to be his final contribution with Manor, who brought in Esteban Ocon for the rest of the season and demoted Haryanto to reserve driver. 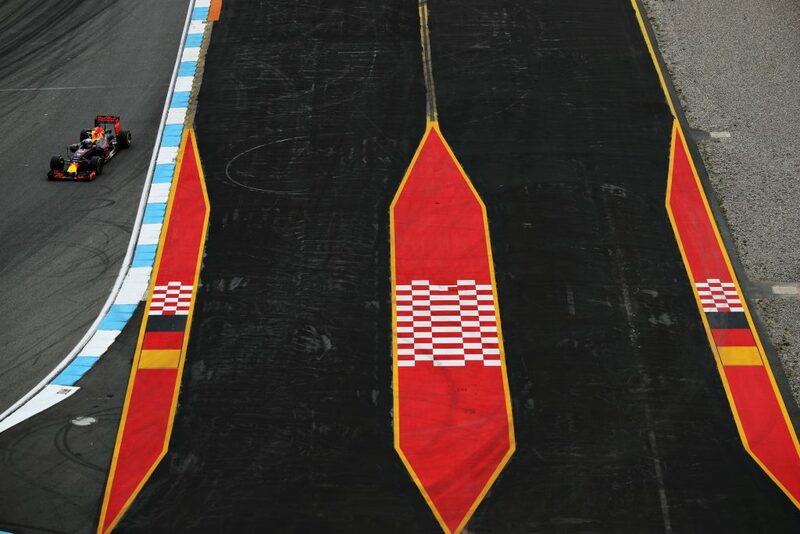 As has been the trend at recent races, a third DRS zone has been added at the Hockenheimring for 2018. The track originally had just one section for the drag reduction system when it was first introduced, before a second was added in 2014. The new DRS zone will be on the main straight, while the zone heading into turn 6 has been extended. Hockenheimring is a track that has undergone extensive changes over the years, but the track layout is unchanged since F1 last raced at the circuit. 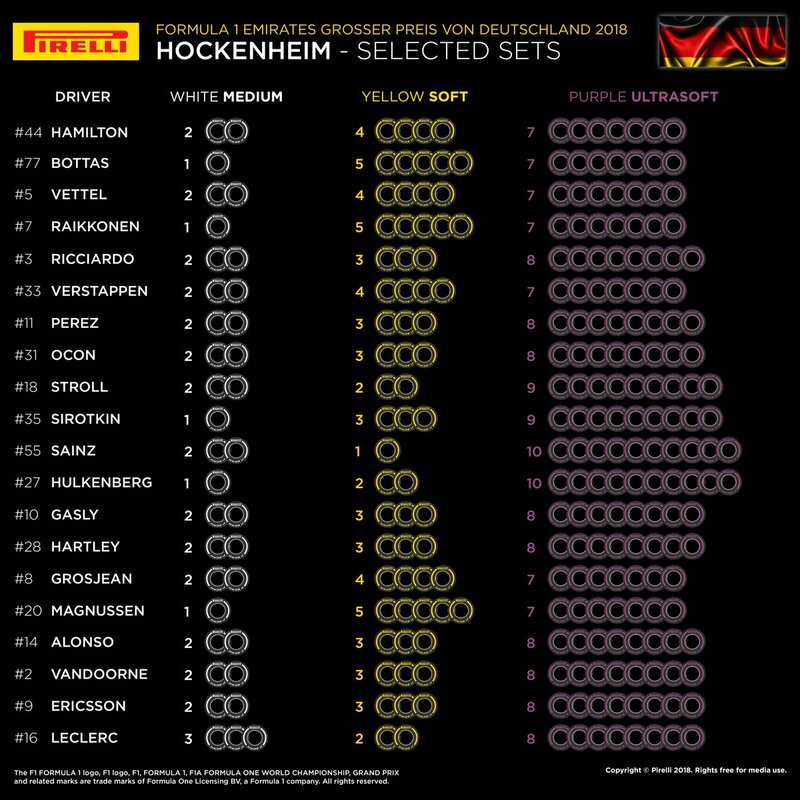 Pirelli has opted to use different compounds for this race compared to 2016, leaving out the supersoft tyres in favour of the ultrasofts, with the mediums and softs also available. It means non-consecutive compounds will be in use for the second time this season. Most of the front-runners are taking a cautious approach to the softer rubber, bringing just seven sets of the softest compound to this weekend, but Daniel Ricciardo has gone with eight. The Australian is expected to face a grid penalty for going over his engine elements allocation, so the extra set of the quickest tyres could help him minimise the impact of the grid drop. The German Grand Prix was one of the busier races for pit crews two years ago, with the majority of the drivers that finished the race needing three pitstops. Ricciardo used three sets of supersofts during the race to move up the second, while Valtteri Bottas was the only points-scoring driver to make a two-stop strategy work, stretching a set of soft tyres to 33 laps to secure ninth place, although the Finn started seventh. Despite drivers needing several sets of tyres to complete the full race distance, no-one used the more durable medium tyre during the race. It looks like the drivers could have to deal with different weather conditions on each day at the Hockenheimring this weekend. The forecast suggests tomorrow’s practices will take place in hot and sunny conditions, but things will change for the rest of the weekend. Rain overnight is expected to result in cooler conditions for P3 before showers hit the track ahead of qualifying. The current forecast indicates Saturday’s qualifying could also be affected by thunderstorms. It doesn’t look like the rain will be as heavy on Sunday, but showers are still a possibility, particularly in the afternoon. Three teams have challenged at the front this season, but two will be more confident heading to this track – Mercedes and Ferrari. Mercedes have won the last two races at Hockenheim and the German team can expect plenty of support from the home fans, while no team has won more races at the circuit than Ferrari. 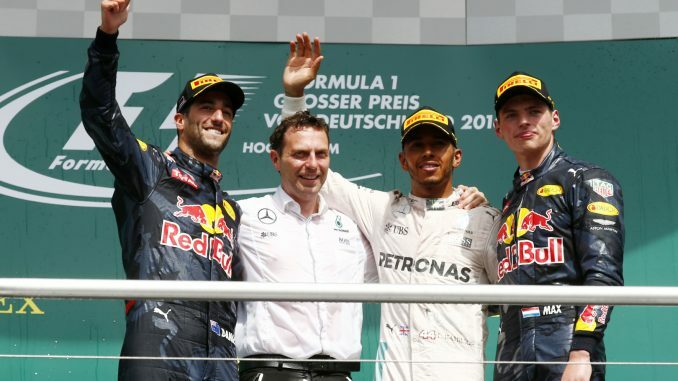 Red Bull’s only wins in Germany have come at the Nurburgring, although the team has secured double point finishes at every Hockenheim race since 2010. Ricciardo won’t be helped by grid penalties. The Australian has been at the limit for engine components for the last couple of races, and is expected to take new parts here ahead of next weekend’s Hungarian Grand Prix, where Red Bull and Ricciardo are typically strong. Hamilton can expect plenty of attention this weekend. As well as driving for the home team, he’s just signed a new contract to keep him at Mercedes for the next two seasons, ending months of speculation about his future. While finalising the contract could be a weight off Hamilton’s mind, interest in the new deal could also prove a distraction. Pole position doesn’t always mean race victory at Hockenheim – just half of the last eight race winners at the circuit set the fastest time in qualifying. Kimi Raikkonen has two pole positions at the track, has never been outqualified by a teammate in Hockenheim and is also the lap record holder, but is still looking for his first win in Germany. Given the mixed weather conditions and the tyre choices for this weekend, getting the race day strategy right could be more decisive than qualifying this weekend. Sergio Perez is the only driver outside the big three teams to have a podium this season, and he’ll be hoping for another strong result at this race. The Mexican has never failed to pick up points at Hockenheim. Sergey Sirotkin’s search for his first F1 points finish continues in the struggling Williams. He’ll have happy memories from his last trip to the Hockenheimring though, having won the GP2 feature race from pole position in 2016 before securing second place in the sprint race the next day – giving him the best results at a single race weekend of his GP2 career. You can hear the team’s thoughts ahead of this weekend’s race on the latest episode of the podcast and see who week think could be on the podium on Sunday. Join us during qualifying and the race for our live blog and tell us what you think through Twitter and Facebook.